Time to add a new category to WordPress? Have enough content within a specific topic and want to add it to your category lists? Changing your mind about a category name and wish to change it? Want to delete an entire category worth of posts because you don’t want to cover that topic anymore? Adding and changing categories is easy with WordPress. This is your guide to all the things you need to know about adding and deleting categories in WordPress, as well as moving posts around within categories. At the bottom of the Category panel box, click +Add New Category. Enter the name of the category in the form. If appropriate, select the Parent Category for this Category. WordPress will automatically select the category and use it when you publish this post as WordPress assumes you’ve added the category for this post. To add a description to the category, go to Posts > Categories and edit the category to add the category description. The category description will appear in the title attribute of the Category link in navigation (required by US Federal Law for accessibility for commercial and government sites) and on category pageviews for WordPress Themes that use it. You may also add a category through the Category panel. On the WordPress Administration Panels, go to Posts > Categories. On the left side of the panel is Add New Category. Fill in the category name in the form. If appropriate, select a Parent category from the drop down menu. Enter a description for the category in the form. The new category will now appear in the Category list on the Post Panel. Note that self-hosted versions of WordPress allow the user to set the Slug, the permalink name for the category, when adding new categories. WordPress.com users cannot change the category slug. Here are a few things you need to know about categories in WordPress. A category will not appear in your category navigation unless there is a published post in it. Category names should be keyword specific not made-up or fun names. They are important navigation links so call them what they represent. 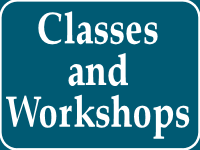 Category names are generally one to four words. Posts can be in multiple categories. Out of the box, “Uncategorized” is your default category. You can change this in the Settings > Writing panel. By default, the WordPress permalink structure for categories include the word “category” in the permalink such as http://example.com/category/blogging/. By default, the WordPress permalink structure for subcategories is http://example.com/category/blogging/blogging-tips/, featuring the parent category slug name first, followed by the subcategory slug. Category descriptions will appear on WordPress Themes using the category description template tag in the category template file of the Theme. Categories have their own feeds. The link to the feed is in the structure of http://example.com/category/blogging/feed/ by default. Pages do not have categories, only posts. If you use the Import > Convert Tags to Categories feature, WordPress will automatically generate trackback comments for all changed posts. Not sure why, but you can easily delete these from the Comment panels as they are duplicate trackbacks. There are a few issues and complications that may come with adding a new category to your WordPress site that you will need to know. When you create a new category, the odds are high that you will want to add posts you’ve published in the past to the new category. You can use the Bulk Edit feature of WordPress to add the category to the posts, or you can manually go through all the posts and add them to the new category. If you wish to remove the post from a category, you cannot use the Bulk Edit feature. The Bulk Edit only adds, not subtracts, post options. You must do this manually on WordPress.com. Self-hosted WordPress users may use Bulk Move WordPress Plugin. By default, WordPress sets “Uncategorized” as the default category for your site. Having posts uncategorized is not a good idea and doesn’t send a positive message about you or your site. The default category can not be deleted and some of the changes you may wish to make may be restricted. If you need to make changes, you need to set another category as the default. Create a new category to be your new default, if you have not done so already. From the drop down menu, select the category you wish to be the new default. New posts published without selecting a category will be set in this new default category. If you delete the “Uncategorized” category, posts within the deleted category should move automatically into the new default category, however newer versions of WordPress leave the post uncategorized. To prevent searching for uncategorized posts and manually adding them to the new default category, here are the steps to move posts to the new default category and delete the “Uncategorized” category. On the Posts (All Posts) panel, filter the posts to show only the posts in the “Uncategorized” category. Using the Bulk Edit feature of WordPress, select all the posts in the Uncategorized category, choose Bulk Edit (Apply), and add the new default category to all the selected posts. If you have more than one page of posts in that category, you may have to repeat this for each page of posts in the Post Panel until all are in Uncategorized and the new default category. Hover over the “Uncategorized” category and select Delete. Accept any warnings. All posts formerly in the Uncategorized category will have that category removed, leaving them in the new default category. If you delete the Uncategorized category before moving them into the new category, go through your post list and select all posts without a category and use the Bulk Edit feature to add them to the right category. If you are using the self-hosted version of WordPress, there are several WordPress Plugins to make it easier to move posts between categories. See the section in this article on moving posts between categories. To rename a category, you can create a new category and move posts into it, or change the category name. Find the category name you wish to change and click Edit. Change the category Slug, the permalink “nice” name for the category. Add or change the category description. On WordPress.com, the method is basically the same except you cannot change the post slug. It will change automatically when you change the category name. Due to the canonical nature of WordPress, changing the order or name of the category should not result in a page-not-found error. WordPress should automatically redirect the visitor to the right page as it preserves the same category ID number. If you find a category isn’t working for you, but you wish to keep the posts within that content, you can delete the category. To delete a category, go to Posts > Categories and select Delete – but stop. Maybe you should consider this step first. What happens when you delete a category in WordPress? WordPress and WordPress.com will automatically move the posts in to the default category as set in the Settings > Writing panel. If you do not with to have the posts moved into the default category, you have some options. The Bulk Edit feature will not remove posts from categories, only add. WordPress and WordPress.com users can edit posts individually to add them to the category of their choice and remove them from category they will later delete. Self-hosted WordPress users can use the Bulk Move WordPress Plugin. Once the posts have been moved into the appropriate category, go to the Posts > Categories panel and find the category you wish to delete. Click Delete. Remember this is final. You may add the category later, but it will feature the number -2 in the category name unless you modify the WordPress database. To change this, see the instructions on changing the category permalink with a number. 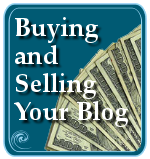 You’ve been blogging for a while and realize that all your blog posts about mortgages and credit ratings were of value when you were getting your home refinanced, but you haven’t touched the subject in three years. The posts are flooded constantly by spam comment bots focused on the keyword usage, so you want to just delete all of them. You can delete a category, and the posts will automatically be added to the default category. Posts are not removed. What do you do if you want them gone? On WordPress.com and the self-hosted version of WordPress, you may use the Bulk Edit feature to delete all the posts in a specific category. Go to the Posts management panel. Filter the posts by the specific category of posts you wish to delete and apply the filter. Triple check that these are the posts you wish to delete. On the Bulk Edit drop down, select Move to Trash. Click Apply to move all the selected posts to the Trash. Remember the Trash in WordPress will temporarily hold the deleted items, giving you a chance to change your mind. If the posts you wish to delete are not all in the same category that you wish to remove, go through the posts individually and manually move them to the Trash using the option from the Post Management panel or on the post’s Edit panel. On self-hosted WordPress sites, you can also use the Bulk Delete WordPress Plugin to help you get rid of not only the whole category, but all posts in that category. You can delete content in a variety of ways with this Plugin, including removing Pages and all post revisions. Using the built-in Trash feature, you have a chance to change your mind. Using the Bulk Delete WordPress Plugin is a final option with no second chance. Not all categories are meant to be categories. Sometimes they need to be tags. Sometimes tags need to grow up and become categories. WordPress makes it easy for self-hosted and WordPress.com users to convert between the two. Select Categories and Tags Converter. Choose Categories to Tags or Tags to Categories. Find the category or tag you wish to convert and click the check mark next to it. If the list is long, use CTRL+F to do a page search for the name of the tag or category. Scroll to the bottom of the panel and click Convert Tags to Categories or Convert Categories to Tags. A notification may appear explaining you will receive email notification of the conversion when complete. It usually takes a few seconds to appear in your Category or Tag list. Note that tags with an asterisk are also categories, and categories with an asterisk are also tags. When converting tags to categories, posts associated with that tag will be automatically moved to that category. When converting categories to tags, the same thing happens. Posts in that category will feature that tag, but lose the category. If you create a new category and find -2 in the link name such as http://example.com/category/blogging-tips-2, it means you are duplicating the name in the WordPress database. I know you didn’t. I know that this is the first time you’ve used this name in your categories, but you used it first in your tags. WordPress tags and categories used to be stored in separate tables in the WordPress MySQL database. With the changes in how content is categorized and cataloged in WordPress, categories and tags are now in the same database table. By default, MySQL will not allow you to use the same names in a single table so it adds a dash two to the name. You don’t want your category permalinks to feature a dash two, right? How do you fix this? Go to Tools > Import > Convert Tags to Categories. Follow the instructions above to convert tags to categories. Go to Posts > Categories and update the converted category to the proper capitalization and add a category description. You will find that the category already has posts. They were automatically added to the category upon conversion. If you do not wish them to be in that category, edit them manually to uncheck that category. Go to the Posts management panel and use the Bulk Edit feature of WordPress to add the category to the posts you wish to be in that category in addition to the ones that were automatically converted. Go to Posts > Categories and delete the dash two category. Self-hosted WordPress users may also use the Bulk Move WordPress Plugin to move posts into the new category. The dash two permalink issue on categories (and tags) may also be fixed directly within the WordPress database with the search and replace option. If you cannot make changes to a category, it is likely it is set as the default category. It usually appears without a checkbox next to it in the Category panel list. See the instructions on changing the default category in WordPress. That’s really a lot on adding, deleting, changing, and messing around with categories in WordPress. Yet it is only the tip of the ice berg of what can be done with WordPress categories. Please remember that categories are your primary navigation and gateway to content on your site. Use them wisely. Use names that tell the visitor in an instant that they are in the right place. Use names that guide the user to the help and information they want and need. Let categories speak well for you. This entry was written by Lorelle VanFossen and posted on September 13, 2012 at 9:02 pm and filed under blogging tips, WordPress, WordPress News, WordPress Tips, Writing with tags categories, categories in wordpress, change categories, changing categories, delete category, edit categories, how to use wordpress, move categories, move category, renaming category, tags, wordpress, wordpress categories, wordpress help, WordPress News, wordpress tags, WordPress Tips, wordpress tutorials, WordPressDotCom. Bookmark the permalink. Follow any comments here with the RSS feed for this post. Post a comment or leave a trackback: Trackback URL. Wow…so helpful! Thank you for laying this out so clearly, Lorelle! I have about 48 categories and am thinking about either consolidating them or converting categories to tags. Can i get your advice on this please. Excellent question. I recommend you combine duplicates. Best Plugins is the same as Plugins. Make that category count and call it WordPress Plugins since you don’t write about other plugins. It’s specific to readers and helpful for some SEO loving as it is now a keyword. 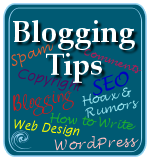 Blog Content, How to Blog, Blog, and Blog Design are blogging topics, so make Blogging a parent category. If you wish to break it down into content and design, add them as subcategories. If I was there to learn more about blogging, I wouldn’t know exactly where to start, or would be clicking on these different categories in an attempt to find the information I wanted. Don’t make me work for the information. By going through the list and condensing all the related categories into parent categories, you give people a clear direction to go. People like maps and linear paths. They want to know what to do next. Help them and make it easier for them to step forward. There are now many people blogging about WordPress. Check out their categories and see how they are grouping content together. As I’ve written many times, most recently in What You Most Need to Know About WordPress, there is a lot of confusion over categories and tags. Many people treat categories like tags, organizing content like an index page in a book rather than a table of contents. Keep categories your table of contents and your tags your index words and people will have a much more enjoyable, and informative, experience navigating your site’s content. WordPress should automatically redirect the visitor to the right page as it preserves the same category ID number. WordPress preserves the post ID and the category ID. In the article, I explained that if you rename a category, even to changing its slug, WordPress will redirect the user to the same category pageview (or web page) as the category ID does not change. In other words, if you change the Cat Dancing category to Cat Walks, and change the category slug, all posts within that category will still be in that category and the link to the category will not change, and incoming links to that category will not change, as the category ID is preserved. Maybe I’m not understanding what you are saying. Help me make that sentence make more sense, please. I see that WordPress uses a tag&cat I.D so that must be it but i’m not sure WP uses this. Maybe it just uses the post I.D which always stays the same even when you reassign a post to another category. Tags and categories are stored in the same table. That might be where the confusion lies. This is also how you can end up with category-name-2. If there already exists a tag named blah, when you add category blah, the blah slug becomes blah-2, because they are both stored in the same table. Tags and categories used to be in separate tables but with Custom Post Types, they were combined into a single taxonomy table to allow for the cross population of content in a variety of forms and formats. Post ID stays the same no matter what category the post is in. There is no relationship between the two other than posts are assigned to categories. If you change the category the post is in, only the category data associated with the post changes. The post ID is not changed. What a great resource on WordPress categories. I realised that they are important for SEO, but you’ve pointed out so much more…. A great categories 101 post. BTW – your next post has to be about… tags. I never use tags, but I know that I should do. I’ve fixed your comment info. Thanks for letting me know. I’ve written so much about both categories and tags…see What You Most Need to Know About WordPress for a summary of that information, and links to other posts I’ve written on the subject. Thanks for this amazing information. I can not even begin to imagine how long it took to put that together. Do you normally put a category description to try to draw in the users? Or do you leave it blank so that it will list the latest information in there? I have heard positives things about doing it both ways, so I thought I would ask your opinion? The point of categories is to create a table of contents for your site. Obviously, a useful table of contents is one that has words that describe not only the content within but informs the visitor that “this is where the information you need is.” If that is what you call “draw in the users,” then yes. Categories have their place in SEO, but if you focus on helping the users, you help yourself in the bigger picture. I have no idea what leaving the category blank so it lists the latest information. Makes no sense. If you could be more specific with that you mean by that, I could address that point better. Convert tag to category? Didn’t know! I guessed that was a name-space collision with a tag. Didn’t know I could have just converted! It was a collision. 😀 It happens more than you can image, so glad to help. Are you saying that the WordPress Plugin you use for SEO to create custom title tags and meta descriptions didn’t respond well to the changing of categories? Not sure I understand where all those duplicates come from as that has nothing to do with the native core functions of WordPress. Check with Yoast about the issues with the Plugin as he needs to know to resolve any issues, but congrats! Wow, a lighter, leaner, and meaner site. How does THAT feel? Feels good. Thanks for your help. Google has taken my search traffic. Not sure why. Not even ranking for WP Sites. I guess thats for another post. Glad you found the infinite scroll option. I’ve covered that elsewhere, but still glad you figured it out. It’s a nice feature but do be aware that it can also cause a lot of problems for those on measured or slow bandwidth connections. 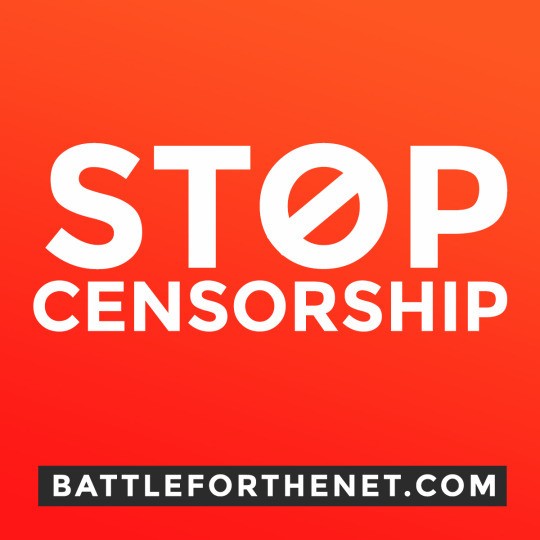 It preloads content in the background, thus consuming bandwidth without the user being aware, other than it can slow down their connection if they are on a sensitive connection. I want to know that to create a new theme, do we require to edit function.php file? Check the WordPress Codex for information. I have two questions and I will be grateful if you give me the answers. I apologize, If I missed this explanation in your post. I have already published a few articles and I want to move them from the old category under a new category. 1. Should I use 301 redirect for the old links? Honestly, Google will catch up, so don’t worry about any ranking. Google took their Pagerank offline because people were worshiping it like some religious figure. Don’t worry about that. If the category gets a lot of traffic, then a redirect in the .htaccess file (or with a WordPress Plugin) wouldn’t hurt, but if the posts get traffic and have many incoming links, they will not be affected by the change in category. Only if you have links to that specific category within your content or as incoming links. The URL for the posts stay the same. If my permalinks have included the category name, I assume it is must to do 301 redirect. Am I right? Is that all I have to do for the posts that I will move under a new category, or I also have to manually change all the old links within my content that point to these posts? The link to the posts does not change because you change categories, unless you have set up your pretty permalinks with the category name in the post URL. If you have put them in the pretty permalink, a redirect is a good thing to do, though the canonical feature of WordPress may take care of the redirect automatically. It doesn’t hurt to add the redirect manually. There are WordPress Plugins that may help you with the redirects and moving posts within categories, so check those out, or do it manually as you described. I accidentally put two posts in the wrong category. So, I went to “All Posts” and, using “Quick Edit” I unchecked the box of the incorrect category and checked the box of the correct category, and then clicked “Update” for each post. Now, the posts show up under both categories. What did I do wrong? As mentioned in the article, you may add but you cannot subtract using the bulk edit feature of WordPress. You must change them post by post. I know it is confusing, but that’s the way it works currently. Lorelle – Thanks for the info. I have a question about changing/deleting a category on WordPress. If I were to following your instructions and change one of my blog post categories, would my customers still be able to view blog posts using the old URL with the old post category in it? 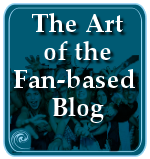 I usually email new blog article links out to my painting customers each month, so I wouldn’t want to change the permalink structure of those old posts. Would love to hear your thoughts. Thanks. If you have peramlinks set up to display the category on every post, an nontraditional approach in structuring your post pretty permalinks, it should still work. Test it. If the old links do not work, then add redirects in the .htaccess files. 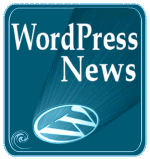 WordPress uses canonical linking in the system, so some changes will hold, some will not. Experiment and see which works for your system. This is a very helpful site, thank you! I was wondering, however, if you could tell me why when I try to update the summary of a category, it doesn’t. If your WordPress Theme features category descriptions, add the description in the Posts > Category panel. If it isn’t updating when you make the change or add the category description and save it, and you’ve refreshed the pageview of the category, contact WordPress.com support. There is an issue with category name changes and capitalization when the same category name is a tag, but I haven’t heard of any issues with changing and editing category descriptions. The Support forum for WordPress.com will be able to help you if this is a technical issue. Thanks! I have 50 bloggers (teachers) on one domain. My ‘categories’ are primarily teacher names. They are doing quite well, actually. Unfortunately, some teachers are forgetting to ‘check off’ their name in the category so their post gets emailed to the parents in their class. Does anybody know if there is a way to automatically check off a category to match the user who is signed in? I’ve completely lost you haven’t I? Using names as categories is rare, but appreciated in an environment where their voices are more important than the content they write about, or better said, their topics are identified by who they are, creating an expectation for readers. Nice. 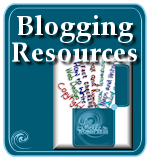 I’ve written extensively on managing multiple authors in my series “How to Manage Multiple Bloggers on WordPress.” This will give you plenty of information, too. There are a variety of WordPress Plugins which may help. Some of these are frequently updated and some are not, but might still work. Some do too much, which others do just enough. You will have to go through them to determine which one is the right one to choose based upon your needs. If one of these has development stopped, consider contacting the author and paying them to update the Plugin, a small price to pay to get it done right and it helps everyone. Pre Publish Reminder WordPress Plugin is great for making checklists for authors to see before they publish, little reminders. This discussion and the people involved might be worth following up with: WordPress Support Forum – Add a category automatically for a particular author. Yes, it hasn’t. Okay, so I will contact WordPress support. I suppose there’s an anomaly then..
1) I changed my default category to ‘Culture’, Save changes, and expected all posts from ‘Uncategorised’ to move automatically. They didn’t move. 1) Does it take time for the change to take effect? 2) Could it be because all these posts are RE-BLOGGING posts from other site? Normally the Re-blogged posts go straight to the default setting ‘Uncategorised’. I later moved the posts manually. I deleted my Uncategorised category afterwards. Thank you for the tip. Now my Category looks pretty neat. 2) I just added a description to my Blog Exercises Tag successfully. What a surprise! Your method was to add a description to a Category, as I had grouped my posts into a TAG, I used the same principle to add a description on TAG, and the outcome seems to be the same. Perhaps my theme happens to support this feature. I’m happy. To set your default category in WordPress, remember you have to manually change all posts to whatever category you wish them to go into. If you set the default category and deleted the old one, they should have gone into the new one but they might not. Use the Bulk Edit feature to put them in the right category. Changes are immediate. Ah, you figured that out. Good. You now may add descriptions to tags. That’s fairly new in WordPress. Some WordPress Themes feature descriptions on tag pageviews, some do not. 1) Ah — now I understood. The eyesore of Uncategorised is gone. I’m pleased. 2) On your website, posts within categories when viewed in a series appear as excerpts. As individual posts chronologically, they appear as normal posts with paragraphs with -+more function. Is the excerpt feature better? Did you manually set it that way with a good reason? Excerpts lost paragraphs and can be difficult to comprehend if those paragraphs serve a purpose. All my posts appear as normal with +more. I’ve gone back to your instructions to see why I hadn’t understood you yesterday correctly. I focused on: Posts currently in the Uncategorized category will be automatically moved to the new default category.” “Automatically’ didn’t happen though. You didn’t mention ‘manually’ changing posts’ category as a necessary step. Thanks for digging into this deeper. I’ll make this clearer. The sequence is to make the new default directory, then delete “uncategorized.” Those posts used to be automatically transferred to the new default but I recently found out they stay category-less. Thanks. Useful information for managing categories in wordpress, I did not know some things like feed of the categories, thanks for the information. before adding the actual header. Have you come across this before? By adding the categories to the menu, when clicked the user goes to the category pageview, a generated page that features all the posts within that category. Each WordPress Theme customizes the title of the category pageview differently. It looks like the Theme you have chosen does that. If you don’t like it, change Themes or get the CSS extra paid feature and change the styles in the Theme. A problem with many designers designing for WordPress and not familiar with all of its intricacies is that they don’t style for things like pageview titles on categories, archives, tags, etc. Go to a tag pageview and you will see the same thing and it will say “Tag Archives” or something like that. Go to an archive pageview and it will say “Archives for X date(s).” This is the default behavior of WordPress. Sorry your experience with the forums was not good. They are incredible people and know what they are doing, giving so much of their time freely to help others, but sometimes they miss. Glad to help. Thank-you very much: I’ve recently found out exactly that – meaning that everything you say is 100% correct. And I don’t want to mislead you about my Forum experience – I don’t know what I’d do without all those amazingly helpful people! – it was just that, unusually, I was sitting on an ice-floe for many hours without sight of land. But once it hove into view, all was well. I’ve been on that ice-floe with you. I totally understand. I tell my students (and clients) there is no such thing as a stupid question, just a stupid person who doesn’t ask the stupid question. LOL! I’m sorry, I don’t understand your question. You want to add Recipe as a category. Simply add it in the Posts > Category panel or on the post in the Category box. If you could be more clear with what you want to do, I might be able to help you. There is also great help in the WordPress support forums. Thanks. This post is the most comprehensive I’ve found on changing categories. I revamped my blog, deleting a number of categories and tags. Now they are showing up as Not Found Errors. I’ve redirected more than 100, but I’m worried that too many Redirections plus my 252 Not Found Errors are hurting my rankings. I’ve gone from a pagerank 4 to a pagerank 3, and this is the only change. I feel like my blog is now a mess and I don’t know how to clean it up. Any ideas? Thanks so much for you help. What are showing up as redirect errors? Posts? Category link? Fix the links and Google will figure it out on the next cycle. Try not living for THE Google, too. 😀 Things will straighten out. If you are using category or tag links in articles and navigation, fix those links. If your site is self hosted, a simple search and replace will resolve those issues in the Database or with a WordPress Plugin for search and replace. A lot of redirects is messy, but without knowing why those are being generated and generated by what – spam bots, human beings – this is the best answer I have for you. Very helpful and extremely detailed. I have a huge task ahead of me, but glad I read this article first. Have you ever heard of play tug-of-war with naming a WordPress menu and category the same and now they are tied together? I change one and the other changes. I don’t want to delete either one and start over as I have them linked to lots of widgets and posts. Any ideas on what to troubleshoot? Yes. Clear your menu and start fresh. Put the things you need there in there. Go to Appearance > Menus and clean it out and start over. A category can go on a menu. You can also change the name of any item on your menu to be the same or different than the category slug name. The WordPress Menu doesn’t link to widgets and you should RARELY put a post on the menu. Pages, yes, but it takes a few seconds to recreate it. Or edit the one that is driving you bonkers and figure out why. Good luck with it. Hi thanks for the post. The only problem I have is that after adding a post to a new category, the title of the post does not appear on that category, but the post is perfect. Do you know what I’m doing wrong or how to fox it so that my post and its title can appear in each category. New blogger as yo can imagine. Titles are Theme-dependent. If you are using Post Formats such as an Aside, some WordPress Themes do not display the title of an Aside, independent of the category choice. Do posts in other categories feature titles? I recommend the WordPress.com forum for help with this as they would be familiar with the features of the Theme you are using. Such techniques were banned and don’t work, and haven’t worked for several years. Of course, after 5 years there are quite a lot links from articles to tag urls and categorie urls. Is my assumption right that converting tags to categories and categories to tags can mess up all the links within articles that pointed to them? If that is the case, I am not sure if I am so brave to convert anything. I have around 1200 posts, not saying that all posts have links to categories or tags, but I’d say quite a lot of them have (can just assume, but I guess there are at least 200 – 400 articles with links pointing to categories or tags). I am afraid that converting will end up in a lot of work, going through all the single posts that linked to categories or tags, to change the links… is this the case? If so, I hope there would be a feature that would convert links in articles as well… by the way, I have set up pretty urls, which means my tags look like “/tags/” and my categories like “/categories/” within the URL. Thanks for your guide, I am sure it helped and will help a lot of people. I came her for this single question as it seems you have experience with converting and maybe can answer my question. The categories and tags within your site’s navigation will hold true as they are generated rather than static links. If you have put those links into your posts or Pages, you will need to do a search and replace or add redirects to the .htaccess file. There are Plugins that will help you with all of that. Thank you. I am at wp.com as well. Looks like I have to do change the links in posts manually then. My site is sadly not selfhosted. The woe of all of us on WordPress.com. I think there is a request for search and replace options on WordPress.com. Hunt the forums and add your name to the growing list. They do listen. I dont want this to be the title of my category page and I see some other pages that have this title changed and they havent purchased any plans. This needs to be changed in the Theme, thus the Theme must be customized to change the wording. This has nothing to do with paid or free WordPress Themes. Few pay attention to these details, including users and designers. A very select few WordPress Themes offer the option to change the wording from within the Theme Options, but not many. Maybe they should. When WordPress merged categories and tags into a single database table for taxonomy, this happens. Best that you don’t redirect categories and tags but clean up all references to the old ones with a good link checker. Search engines will figure it out and update soon after. Here are a few old link checkers and I’m sure that there are newer ones around including WordPress Plugins. Hi, I’m still not understanding how to delete a category. Every step you mentioned, I don’t see. Maybe I’m missing something? 2. Find the category you wish to delete. If the category you are trying to delete does not have that option, it is set as the default category. You must go to Settings > Writing and change the default category. Then go through the above steps to delete the formerly default category, such as Uncategorized. I also recommend you go to Users > My Profile > Display Name and set the name you will be known as on your site and in the comments here to a human sounding name and not your username. Thanks. Thanks Lare..! I am newbie WP blogger. Your post guide me for making, renaming and deleting category. Thanks a lot, you have covered many areas i really want to know. You may change categories at any time. I don’t have the ‘Posts’ menu option, i just have “Blog Posts”. Is there some kind of ‘admin’/’editing’/’developer’ secret menu/function? Sorry i don’t know how to formulate that! Do we need to have a paid plan to access those functions? Make sure you are in the WP-Admin area of WordPress and not the new interface. Then look for Posts or the icon that looks like a bulletin board pin and under that is categories. Hi. I wanted to know how on earth can I delete a category, or rename it? I can’t find the option since the new wordpress has changed the options for many things. WTF. I’s so pissed. Can u help me? Ok. Ai found the wp-admin area but once I try to edit a category, it says that it doesn’t exist. And it exists! I have’t delete it Why? Go to wp-admin – your site url/wp-admin. Posts > Categories. I don’t have enough information about your site or category. If you go through the list and cannot find the category, maybe it was created as a Links Category. Go to Links and check there to see if you added links via that method. If you are trying to remove a default category, you must first change the default under WP-Admin > Settings > Writing, then return to Categories to delete or change the formerly default category. If you are unhappy with the new interface, called Calypso, please join the many who are on the WordPress.com forum to let them know how much you are unhappy with the new interface. It frustrates many and while I appreciate the direction WordPress is going, I’m with you. Thank you! I’ve been wandering my dashboard aimlessly and beginning to think it was impossible before finding this post! Dashboard? Ah, you mean the WP-Admin. “Dashboard” is just one of the screens in the admin. We just call it the admin or backend. Glad to help. I don’t understand. You removed the categories associated with posts, but did you remove the categories? You didn’t have to remove them on a per-post basis. All you had to do was go to WP-Admin > Posts > Categories, and delete the categories, keeping in mind that the default category must be changed to something else before it may be deleted. By the way, since this is a teaching site, the “home page” is also the front page of your site or the “front end” view of your site. Just giving you extra terms to help you learn how this all works. Without a site to look at, there isn’t much I can do but offer suggestions, and the WordPress.com or WordPress.org support forums. Categories display on a WordPress site where the WordPress Theme permits them or through the use of WordPress Widgets for Categories customized and set through Appearance > Widgets in the desired sidebar, footer, or other widgetized area. They also appear in menu areas established by the Theme and set by the user through the Appearance > Menu feature. Until these are set, your Theme may not display categories. I hope that helps. Thanks. i want to ask that in categories default meta is there, but i don’t get that how to edit meta because no option will appear to edit your meta. So plz tell me from which option i will edit default meta in category???? Meta data? That isn’t used by search engines today. If you mean tags, often referred to as meta categorization, add it on the posts screen. I might not be understanding what you are asking. Just wondering if I change the name of a Category, will the changed name be reflected in all posts that contained the previously defined category name? Yes. if you change the name of a category, it will update across the whole site. The ID for the category will remain the same, but the name will change. Same applies to tags. Thanks. Any ideas what to do. It sounds like you are self hosted. Check with your host to ensure your installation of WordPress is solid and you have permissions set right in the database. Thanks. Hi Lorelle — Thanks for sharing your expertise! I’m hoping you can help me with a WP category dilemma. Editors on team have been marking both parent categories and sub-categories on posts for our WP site. We didn’t know that marking the sub-category automatically associates the post with the parent category. Now we want to “unmark” the parent categories for thousands of posts (and leave the sub-categories) WITHOUT changing the post URLs. This is because our 3rd party analytics (Parsely) sees these posts as having multiple categories, and this messes up our analytic abilities. Is there an easy, efficient way to “unmark” the parent categories without changing the post URLs? I’m hoping there’s a WP plug-in or feature to help. Marking sub-categories does not automatically select the parent category. Both must checked for inclusion. Categories are for readers benefit. Changing them for analytics is a dumb reason. Tell them to change their program or create filters and funnels to customize the results. The instructions and Plugins for moving categories are in the article. There is not a bulk feature to uncheck (move) posts from categories, just add. Good luck with it and let your team know that I have to battle with clients to remember to check both parent and child categories. This is not a comment, but a request for some assistance from anyone who can. I accidently delete my SHOP dropdown menu from my primary menu and would like it to be re-added. How do i do this? Any assistance would be much appretiated…. Please ask on the WordPress.org support forums. Thanks. Great advice! I have a WordPress.com blog for which I have too many categories and subcategories. I plan to delete/streamline. Here’s my question: If a post has several categories selected for it… and I permanently delete a few of those categories… the post will simply retain the existing (fewer) categories correct? Many thanks! Yes. If you delete every category the post is in, then it will go to the default category automatically. Good for you. You will feel so much better when this is done. Hi there. I’d really like to capitalise the first letter in some of my categories …i didn’t realise it would be so difficult. I can’t even find the ‘post>categories’??? Go to wp-admin then you will find categories under posts. Thank you. I can’t find wp-admin? Type it at the end of your site url. I’ve added wp-admin to the end of my url, but I can’t find categories under posts? I found it. /wp-admin. but it’s says sorry I’m not allowed to edit it???? Me again ;o) I used the quick edit and it seems to have worked. thank you for lending out your super wordpress brain! and for responding so quickly and helpfully. I really appreciate it! I was reading and wondering WHY I haven’t met this fantastic blog before now! Thanks for sharing great nuggets. I am a super newbie blogger, and I am really struggling with ensuring that everything aligns. I will be visiting this blog more frequently. Hi Lorelle & thanks for all the valuable information. I’ve changed a category name & slug, but it hasn’t automatically updated what is showing on my site. Under the category title it says ‘More from this category’ rather than listing any posts; and when I click on that it gives a Page Not Found error. I’ve tried deleting the category from the menu then reinstating it, to no avail. Did you edit Appearance > Menu to change the menu? Not immediately as it automatically updated it. But once I realised the problem, I deleted the category from the menu, then added it in anew, but no change. Describe edit the right menu and save it? Also, make sure you clear the, cache of your browser. That was helpful! Thanks for the thorough information. I’m currently dealing with reorganizing and re-categorizing the blog on our website. I’ve got 28 categories, and an awful lot of posts that are dragging down our SEO scores. I’m wanting to get rid of a lot of the posts and categories. Do I need to set up redirects on categories as I delete them? I know that I need to on posts and I do it using the redirect tool. But do I have to do that on categories, or am I safe to just delete them? You are safe to delete and rearrange them as you please unless your site relied upon categories as you core taxonmy, the key nelavigation funnels. Then redirects would help. Good for you and good luck with it. Add wp-admin at the end of the site url. That will get you back to familiar lands. Thank goodness! :)) Thanks so much for the speedy reply!!! Great article! I have a question – say I have posts assigned to multiple categories, and I just want to delete one of those categories – doing this by using Posts>Categories then selecting the category I want to delete, will all those posts be moved to Uncategorized? Or will they keep their previous cateogires and not be moved there? Will posts ABCDE be now categorised: cats, black ? Only posts with no other category end up in the default category, which is uncategorized unless changed. Thanks. Good Lord. Thank god for this post. This whole categories thing was driving me nuts but you’ve explained it so well. Thanks a bunch! I was looking for such a post since I have way too many categories at my blog & wanted to remimove some redundant ones. I’ll try this. Thanks so much! I wanted to rename a category and your site popped up on a Google search. Simple and accurate instructions. Thanks. I would like my posts to have multiple categories, so far I can add multiple ones but when going to my website I can only see the primary category and not the other ones. how can I have all of them visible? Is it possible, because since we can add multiple ones I assume you can see them. Great question. Categories are displayed by what is called a template tag in the WordPress Theme. Change Themes. For example, switch to the 2011 Theme. See the categories listed in different places? If you want to see categories on the post, it is dependent upon the inclusion of the template tag for categories in the side that generates the post. If you wish to see your categories in a menu, edit or create a custom memu and place it, like under the header. Edit your sidebar to include categories and ensure hierarchy is checkmarked. That will display them in a list in the sidebar. So the answer is complicated. Experiment with different free Themes to see the changes. If you paid for a Theme, ask their support team for help on this. Hi Lorelle, thank you so so much for your quick reply and advise. I have added to my side bar. I have just found out that my theme does not support it but having it somewhere else it helps.